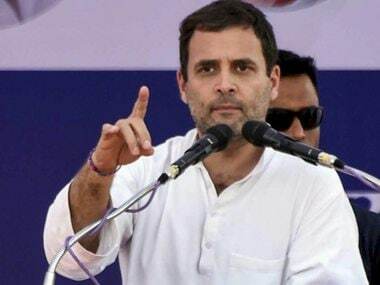 New Delhi: On a day the Enforcement Directorate (ED) told a court that AgustaWestland case accused Christian Michel had made a reference to "Mrs Gandhi", the Congress on Saturday claimed that the government is using the probe agencies to malign the Gandhi family while the BJP said the "truth is coming out". Party spokesperson Tom Vadakkan said Michel had stated before his extradition "on record in court that he was being pressured to name a member of the Gandhi family and that is what they were planning and have done". "The motive is clear. What he said is prophecy and this has happened. This is an outright fixed match fraudulently aimed at planting something on the Gandhi family," Vadakkan said. The BJP seized on the ED's statement in court that Michel had made a reference to "Mrs Gandhi" and the "son of an Italian lady" during its probe and attacked the Gandhi family, alleging that the truth about it was coming out now. Union ministers Prakash Javadekar and Ravi Shankar Prasad also hit out at Congress president Rahul Gandhi. 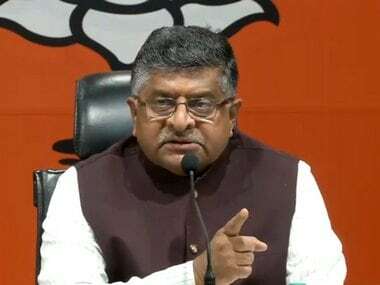 Prasad accused him of showering Prime Minister Narendra Modi with abuses and asserted that "today is the time for the Gandhi family to explain" following the ED's statement in court. In a sharp attack, Javadekar told reporters that the statement of Michel, who is accused of being a middleman and is under arrest, points to one family which, he claimed, has now been caught. "The ED's disclosure in the court has made it clear that truth can no longer be suppressed. The truth about the Congress and Sonia Gandhi and Rahul is coming out before the people. The people will give the Congress a befitting reply," he said. 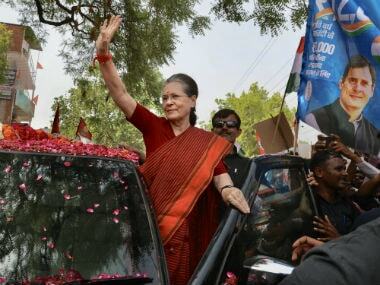 The country was earlier aware of two words, "family" and "AP", about the VVIP chopper case but Michel has now taken a few more names by referring to "Mrs Gandhi, big man, son of Italian lady, party leader and R", Javadekar said. 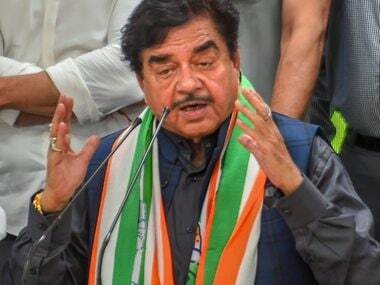 Earlier, Congress spokesperson RPN Singh, during a press conference said that in Dubai when journalists had talked to Michel's lawyer, he had given a statement about how government agencies were trying that he name a particular family. Michel was produced before a special court which extended his ED custody by seven days. "We have seen what the BJP has been doing in this matter," Singh said. 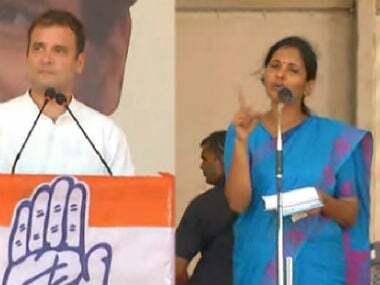 On the ED's claim that Michel had spoken about the "son of an Italian lady" and how he was going to become the next prime minister of the country, he said, "The BJP scriptwriters are working overtime." Attacking Prime Minister Narendra Modi over the Rafale fighter jets deal, Singh said action should be taken against him as there was "complete proof". He alleged that the Modi dispensation was "trying to pressure government agencies to name a person". "But the person who has done the biggest 'chori' (theft) cannot be spared," the Congress leader said, in an apparent reference to the opposition party's allegation against Modi of corruption in the Rafale deal. "We know that elections have come and they (BJP) do not have any issues, so through the ED, they are trying to put pressure on people," he said. Slamming the government over the issue, senior Congress leader Anand Sharma told reporters, "The Modi government is guilty of malicious and vicious propaganda." "There is brazen and shameless abuse of agencies of the state," he said. In his remarks, BJP's Prasad claimed that Michel was a very key player in the case who was brought to India after due extradition process. "He has taken Sonia ji's name and also given an indication about Rahul Gandhi in a chit passed to his lawyer. The raazdar (one carrying secrets), Michel, is disclosing the involvement of others. Today is the time for the Gandhi family to explain. As far as the Congress is concerned no deal is complete without a deal," he claimed. Javadekar said the UPA government "looted" the county and also compromised the national security. "The Congress never finalised a transaction without a middleman. While it is busy in saving the likes of Michel, the Narendra Modi government is working to save the country's money and bring back what was looted earlier," he said. Michel was arrested in the UAE and extradited to India on 4 December.